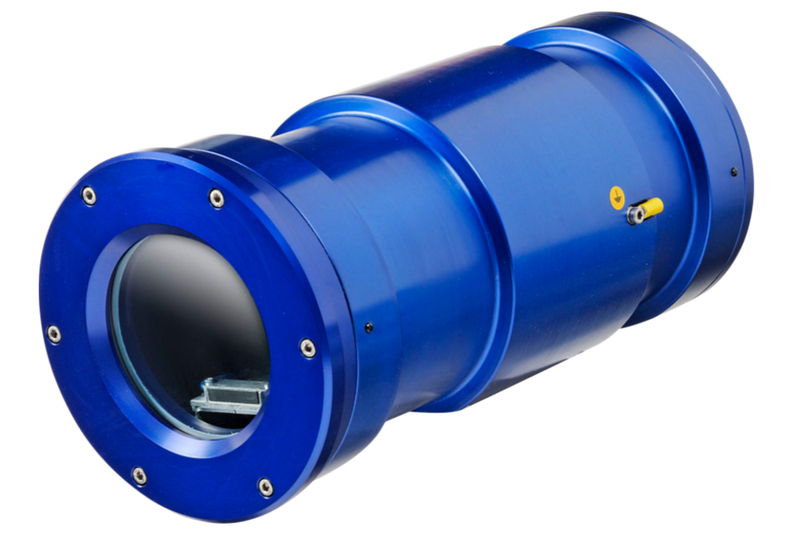 CHEP Series is an ATEX certified fixed camera housing, constructed of a particular anticorodal aluminium alloy, engineered for hazardous area applications. Its anodic oxidation treatment assures high resistance against corrosive atmosphere agents, salty fog and air pollutants. This camera housing is also available with IR Germanium front window specific for thermal imaging cameras. A special version in AISI 316L Stainless Steel, specifically designed for underground mining applications can be supplied upon request - CHEP-SS. CHEP camera housings are equipped with standard heater to demoisturize the enclosure’s front window. An optional sunshield is available to protect the housing from heat and dirt. The camera housing’s design ensures best protection against external agents and allows an easy set-up and maintenance service. CHEP camera housing is suitable for the installation of cameras at customer’s discretion (subject to ATEX regulations). Anticorodal Aluminium construction with anodic oxidation treatment. Optional sunshield to protect the camera housing from heat and dirt. Optional IR Germanium window with protective front grid, suitable for thermal imaging cameras CHEPIR. Special AISI 316L Stainless Steel version specific for underground mining applications CHEP-SS.